Save more than 10% when you buy the entire set of 4 DVDs at one time! When clients want a short trim on their cat, but not a lion cut, the comb cut is the answer. 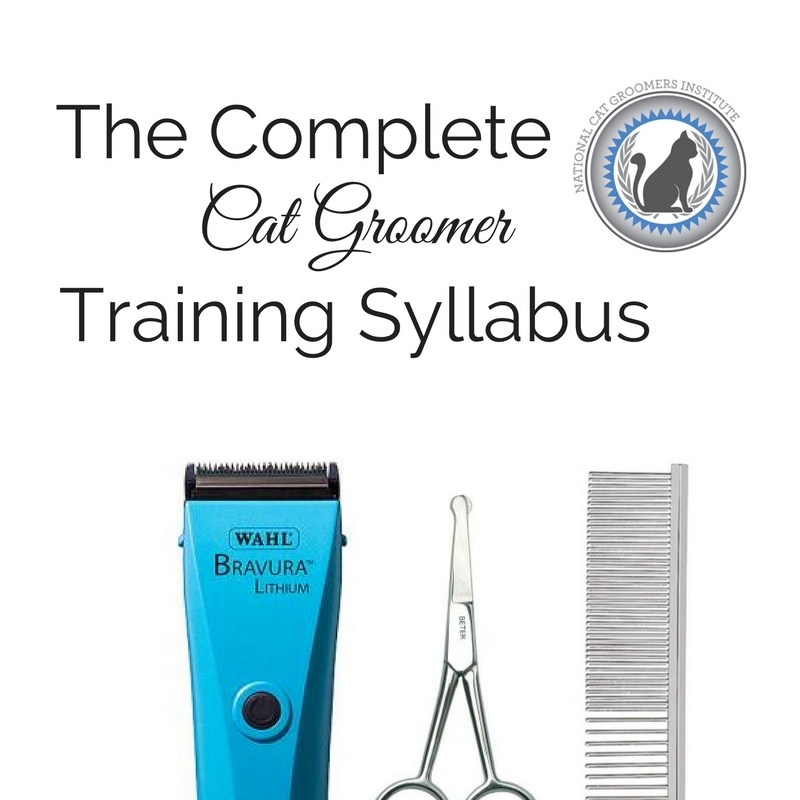 Filmed live in her feline grooming salon, Danelle German shows how to perform a comb cut on any breed of cat, as she demonstrates the entire groom from start to finish. 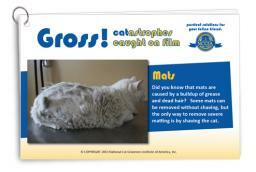 All groomers get a pelted-to-the-skin kitty in their salon at some point. More often than not, the cat isn’t too happy about enduring the pelt removal process. 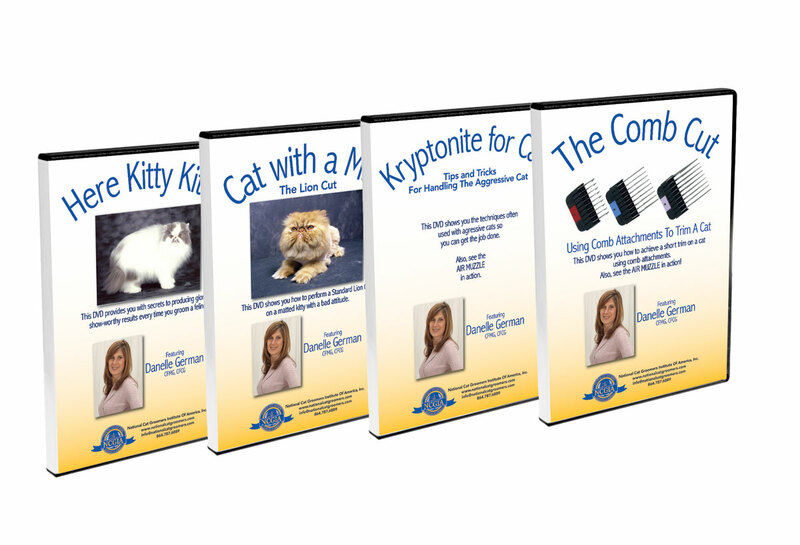 Danelle German demonstrates live, in her feline grooming salon, the process of quickly and efficiently removing a pelt from a severely matted cat with a bad attitude. 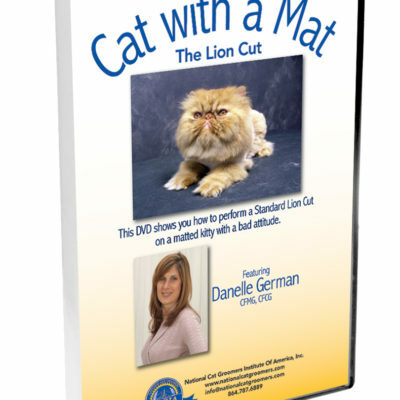 Cat With a Mat shows the entire grooming process, from start to finish, as Danelle demonstrates how to manage an aggressive kitty with a variety of handling techniques, while giving it a lion cut. 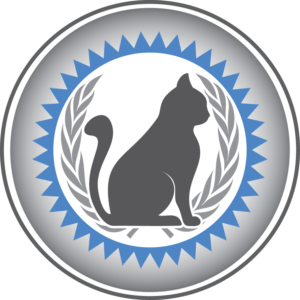 Danelle German, lecturer and leading cat grooming expert, shares her extensive knowledge during this 2 hour seminar, taped live at Hershey Groom Expo 2007. 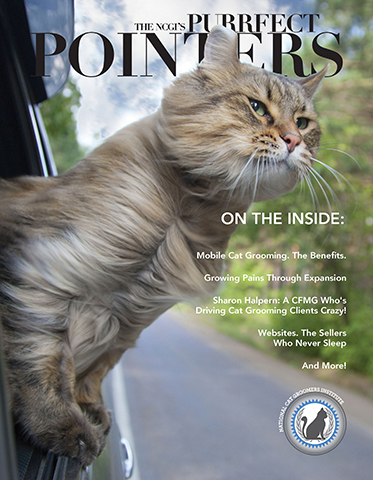 In it, Danelle discusses feline temperaments, coat types, health issues, and much, much more! She also performs live grooming on two different cats, showing the full coat groom and the standard lion cut, including show bathing and the Persian face trim. 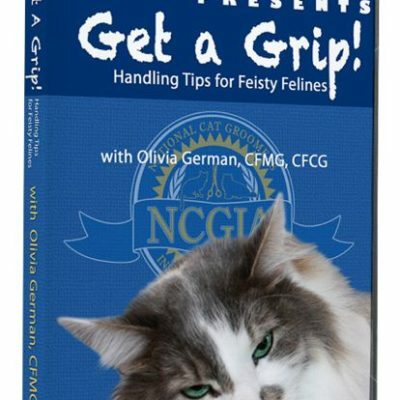 These 4 DVDs are included in the Complete Cat Groomer Training Syllabus.